I changed my mind about Entrance to Trains a few nights ago. On first listen, the Burlington band's latest release, Thirty Days Without an Accident, washed right over me like a conversation I couldn't remember. I disregarded the four-song EP without caring one way or the other for it. So much of the album fits right in with the resurgence of a specific type of modern indie rock, the kind that was born on college radio stations in the 1980s. Entrance to Trains bear all the hallmarks of those halcyon days. Singer and guitarist Alex Raine plays shimmering, clean chords and sings melodies with a dreamlike quality. His brother Evan's drums are dynamic yet keep a tribal pulse going, especially when the band gets glacial. Combined with Remi Russin's driving, top-heavy bass lines and gorgeous synth work, Entrance to Trains have all the prerequisites to sound like so many other bands — none of them bad, but many of them guilty of worshipping too hard at old altars. At first, Thirty Days' sounds and ambitions overlapped so closely that the EP seemed like a tribute to itself. However, one mark of a good album is how its pleasures open with time — and the listener's diligence. And, night after night, these four songs grew on me. "Here/There" has an element of new-wave catharsis to it, like someone spilling all their beans to a shrink at a dance party. "Be Honest" is something else altogether. It comes out with that sort of life-affirming beat and thick, bouncing synthesizer that can turn a song into an anthem. Alex keeps it cool, however, letting his rain-soaked guitar tone hang long over the beat. Then, along with Evan, he sings a morphine drip of a melody, a plea to "be honest." The title track possesses the beauty of anxiety and release. "Is it over now? / Is it figured out? / And am I out of my head?" The Raine brothers sing with a haunting edge of paranoia. At just over two and a half minutes, it's a fabulous yet lean song, layered with meaning and arranged expertly. Charlie Hill, of local indie darlings Bison and J Bengoy, mixed and engineered the EP. Hill doesn't get overly frilly with the production; he seems to have a solid grasp of what the band is going for and how to achieve it. Thirty Days almost has that signature tone of the early Captured Tracks label's releases. Like those albums, Entrance to Trains' first release since 2014's Splitting the Loaf rewards patience and gets better with every listen. Entrance to Trains celebrate their EP release with a house-party show on Wednesday, May 2, and will play on May 20 at SideBar in Burlington. 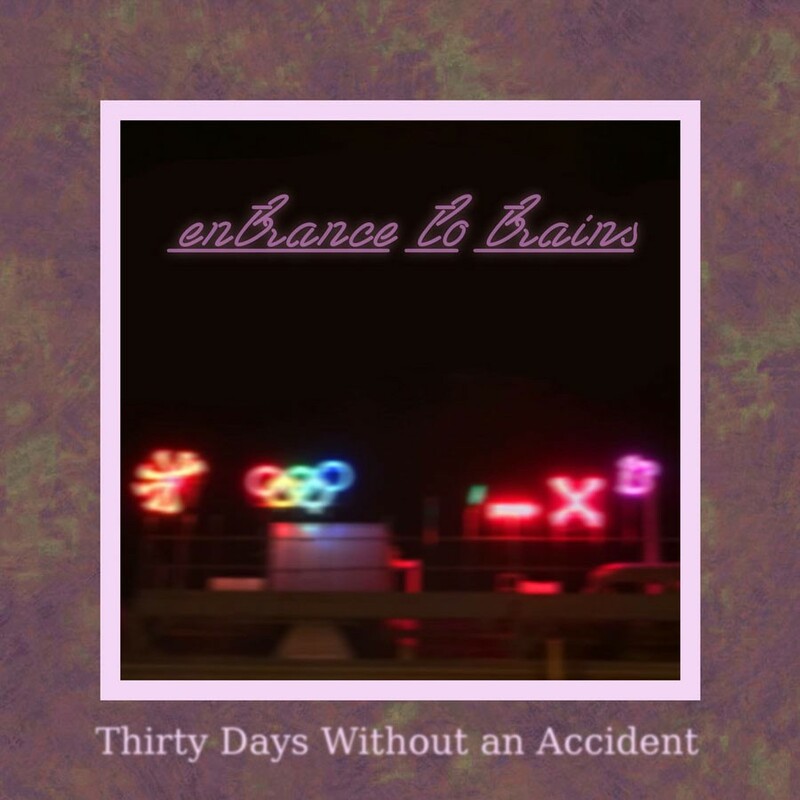 Thirty Days Without an Accident is available at entrancetotrains.bandcamp.com.